As with any dog breed Golden Retrievers are known to have some hereditary health conditions, which are inherited from parents to offspring. These problems include hip dysplasia, elbow dysplasia, several eye diseases and a heart condition, sub aortic stenosis. Responsible breeders will only breed with dogs with clear heart(AU) and eye certificates, and with low hip & elbow scores. In most cases the mode of inheritance and the specific genes involved in these diseases are yet to be identified. Most of these conditions have complex causes and are the result of many different contributing factors. The combination of genes which predispose the dog to the disease must be inherited and then the dog is subjected to environmental stresses which exacerbate the condition. Most of these conditions are polygenic - caused by the cumulative effects of a number of genes. The contributing environmental factors in hip and elbow dysplasia are the dog’s weight, the amount and type of exercise, and the puppy’s growth rate. These all contribute in the expression of the disease. Other diseases such as epilepsy are suspected to have a genetic basis, but the mode of inheritance has not been identified. All Golden Retriever Breed clubs recommends that no dog with a serious genetic defect should be bred from. 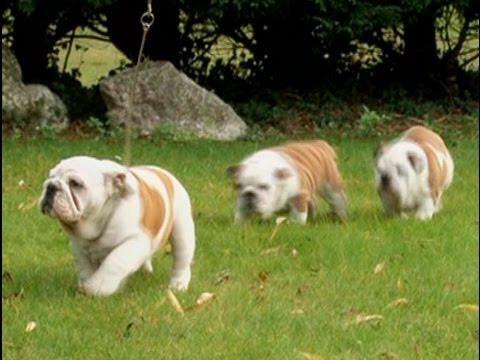 Breeders on this web site are required to screen all breeding stock for hip dysplasia, elbow dysplasia and eye disease. Screening for heart disease are also commonly performed in Australia. An initiative introduced by the National Golden Retriever Council is for all Golden Retrievers born after 1 January 2002 to have their Hip Grading Certificates lodged with the state kennel club prior to the registration a litter. 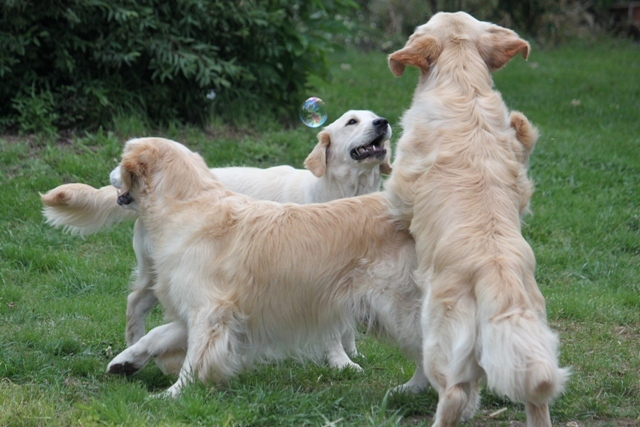 The Golden Retriever Club Of Victoria, has excellent information on Hereditary diseases. found in the Golden Retriever. The only proof a dog is free or tested for these conditions is to view a current recognized certificate, signed by a specialised veterinarian. Eye certificates must be up dated annually. It is not good enough for someone to say "both parents are healthy, so no need to test" A dog may look healthy and have a serious underlaying condition. Conscientious breeders do ALL tests, and will only be to happy to show you the original certificates and discuss them. Ichthyosis (DNA test available). Ichthyosis causes flaking skin, and has no cure. It does not usually cause any problems except the constant shedding of skin flakes. Now known to be quite wide spread in our breed, recently a DNA test became available and some breeders are now testing for this. PRA -1 (DNA test available) Progressive Retinal Atrophy - causes retinal degeneration and progresses over time to blindness. Epilepsy - not regarded as a major problem in Australia but believed to have a hereditary component. No dogs with epilepsy should ever be bred from. Thyroid - canine hypothyroidism is not uncommon in Golden Retrievers.Hypothyroidism, or low concentrations of thyroid hormones, is the most common endocrine disease of dogs, and breeders rate it as one of the most important health conditions of purebred dogs. A simple blood test can identify the disease. Cancer - unfortunately far to common not just in Golden Retrievers but all dogs (including cross breeds) Lots of money being spent on research. Currently the biggest cause of death in our lovely breed. JPS surgery - a fairly new "preventative surgery" being offered to new puppy owners, as a possible way to reduce hip dysplasia. We have yet to see any evidence that this is effective, and are concerned it is being offered to puppies that may never have any problem. The surgery is expensive up to $2000! If your vet suggests this surgery, PLEASE discuss with your puppies breeder first. Laryngeal paralysis - more common in older dogs, but recently has been observed in some younger dogs which is of concern. Vaccination Protocol 2012 - Jean Dodds Hemopet. Dogs a Healthy Future: (video) Click on picture.